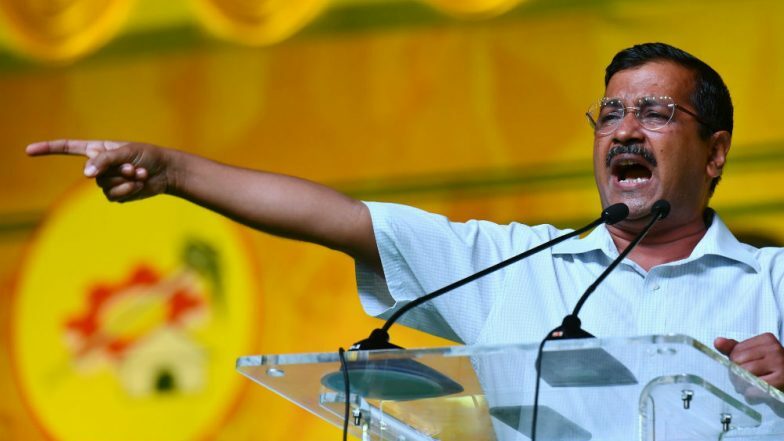 After days of talks with the Congress for a tie-up which eventually turned futile, Arvind Kejriwal led Aam Aadmi Party (AAP) on Friday formed an alliance with the Jannayak Janta Party (JJP) for the Lok Sabha elections in Haryana. As per the seat-sharing agreement, the JJP would contest seven of the 10 seats in Haryana, while the AAP will field its candidates in remaining three parliamentary constituencies. From afar, it appears Haryana may witness a four-cornered electoral contest between the ruling Bharatiya Janata Party (BJP), the Congress, the AAP-JJP combine and the Indian National Lok Dal (INLD). However, the outcome of the Jind by-election held in January throws a different picture. The Jind by-poll result also proves that Arvind Kejriwal took the right decision when he chose the JJP over Congress. Priyanka Gandhi Vadra Should Act Like a Politician if She Wants to Take on PM Narendra Modi. The JJP was launched in December 2018 by Dushyant Chautala, grandson of former Haryana Chief Minister Om Prakash Chautala. In the Jind by-election, BJP candidate Krishna Midha defeated JJP's Digvijay Singh Chautala by a margin of 12,935 votes. The AAP supported JJP's candidate. Congress fielded its national spokesperson Randeep Singh Surjewala, who came in third and managed to garner just 22,740 votes. The INLD candidate lost his security deposit. Check Full Schedule of Lok Sabha Elections 2019. Chandigarh is the official capital of Haryana but Jind is an undisputed political citadel of the state. One who gets a foothold in Jind remains relevant in the state's electoral politics and often closer to victory. JJP's Dushyant Chautala is emerging as a new-age leader of Jats who make up a little less than 30 percent of the state's vote bank. Moreover, the Jat vote is slipping away from both the BJP and the Congress. Lok Sabha Elections 2019 Schedule: How Staggered Polling Could Help BJP. In 2014 when the BJP bagged seven of the 10 Lok Sabha seats in the state, it suffered defeats in Jat-dominated constituencies of Rohtak, Sirsa and Hisar. The only seat that voted for the saffron party in the Jat belt was Bhiwani-Mahendergarh. Besides, Jat anger against the BJP and its non-Jat chief minister has been boiling over the reservation demand and violence that erupted in 2016. Congress's Hooda hasn't done enough to win back the trust of Jats. INLD, which once enjoyed unparalleled support from Jats in rural Haryana, is also losing its core voter base due to widening rift among Chautalas. This all makes JJP the single-largest contender for the Jat vote in the Lok Sabha polls. By allying with the JJP instead of the Congress, the AAP didn't repeat the mistake that Samajwadi Party's Akhilesh Yadav committed in the 2017 Uttar Pradesh Assembly polls. In Haryana, Congress is a sinking ship and an alliance with it would have hurt only AAP's prospects in the state. Kejriwal's AAP has risen to power by presenting itself as a third alternative against warring BJP and Congress. This strategy has worked for AAP in Delhi and, to some extent, in Punjab as well. Had Arvind Kejriwal forged an alliance with the Congress, it could have upset its core voter base in Delhi. In a bid to expand its footprint beyond Delhi, the AAP could have lost its bastion if it had gone with the Congress in the national capital. With no alliance, AAP faces a double challenge in Delhi, however, it has a strong cadre base that can make it win more than three seats there.